A deeply impressed cross hatch pattern adorns the center band of this 18K bi-color wedding band. 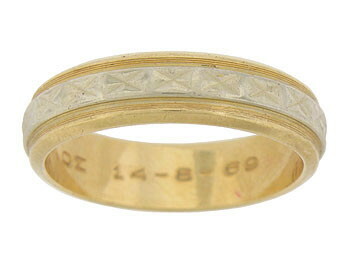 The yellow gold outer ring features a repeating pattern of finely engraved lines. 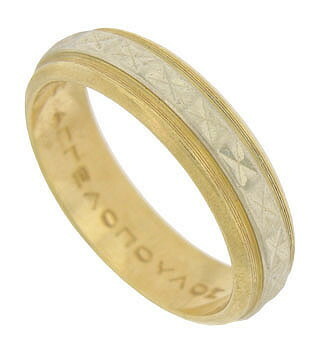 The estate wedding ring is inscribed in Greek and measures 5.01 mm in width. Circa: 1960. Size 7. We cannot re-size.